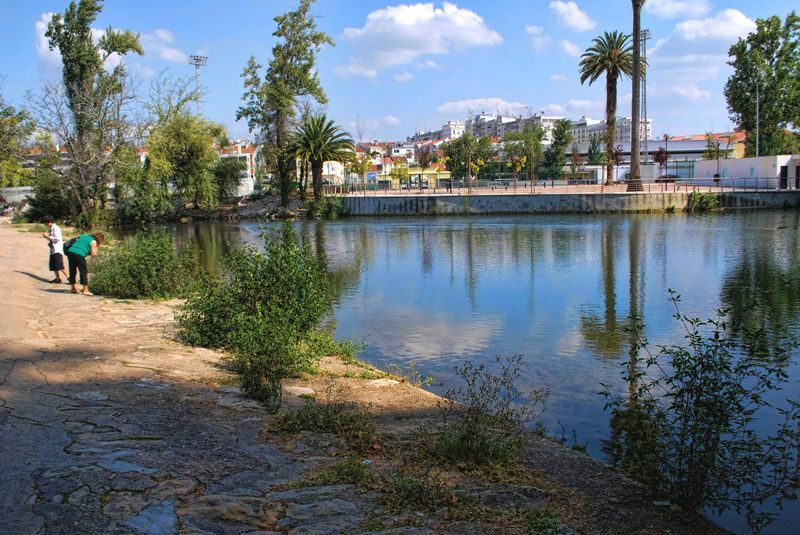 The photos of this part of Nabão River in Tomar were shot from Mouchão Island. 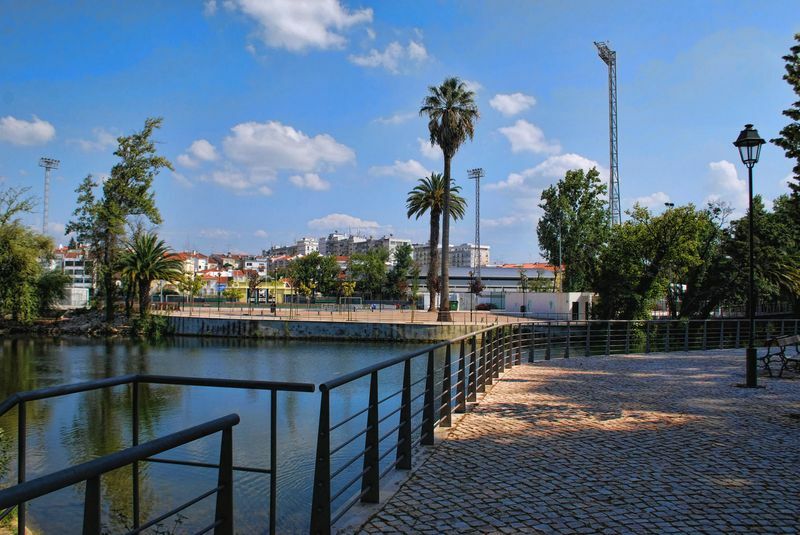 The first two photos are close to Estalagem de Santa Iria and to a somewhat rough pathway which doubles as a dam. This trodden path links the two areas of the park. 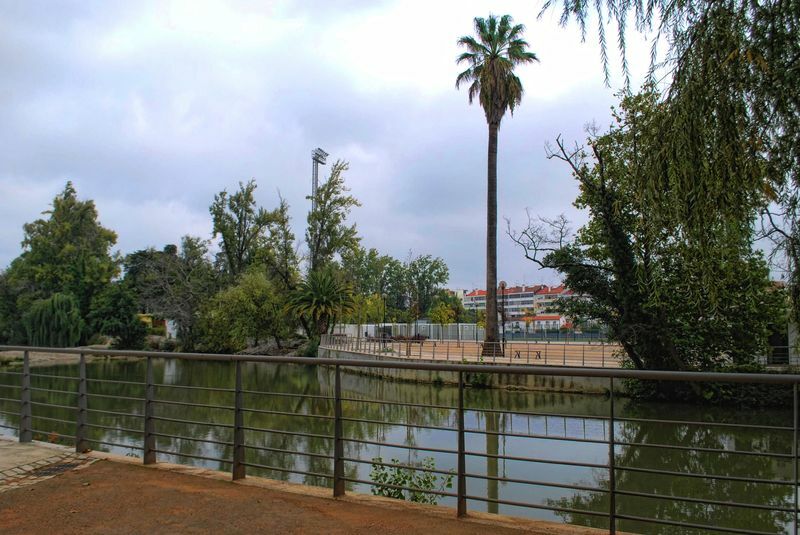 On this side is the island garden, but on the other side of the river is the swimming pool Vasco Jacob, the Camping Park of Tomar, the soccer and athletics field, the children’s playground and the sports pavilion.